Editor's Note: We recognize the following information is not an exhaustive list of all the service providers helping support our area youth. If you know of additional services and organizations that should be included, please email editor@nashvillemedicalnews.com, and we'll add the information to this article. Help is just a phone call away. A project of the United Way, dialing 2-1-1- connects callers with a real person who can help with connections to area community services resources. The website includes a searchable database of services. Alive Grief Services provides grief support programs and grief counseling for children in the Middle Tennessee are who have lost a loved one. Alive hosts 2 day camps in the summer for grieving children, and an overnight Fall retreat for grieving teens. These programs help children learn about grief and loss in a safe environment with peers who have had similar experiences. Provides children facing adversity with strong and enduring, professionally supported, one-to-one relationships. Focused on helping all young people succeed through curriculum-based, targeted programs and high-yield activities designed to help reach priority outcomes. Assists more than 60,000 people each year in 38 Middle Tennessee counties through more than 50 different programs. Provides outreach and case management for homeless families or those at risk of homelessness to identify children and youth with Severe Emotional Disturbances (SED) or at risk of SED. A non-profit community health organization founded on the values of compassion, wellness, community and culturally sensitive care. Services include primary care, pediatrics, social work, and preventive care for the uninsured or those with little financial means. Transgender health and translation services are also available. Works with inner city children between the ages of 5 and 11. Focuses on academics, faith and life skills. Offers individual and group counseling for children, adolescents, families and young adults. Dispensary of Hope collects and distributes millions of dollars of pharmaceuticals annually to pharmacies and safety-net clinics to dispense needed medications to low income, chronically ill patients. Promotes healing of human trafficking survivors and strategically confronts slavery in Tennessee. Provides the residents of greater Nashville who are uninsured or underinsured with affordable, quality primary medical care. FCS serves all people in crisis and transition by meeting them where they are, understanding their needs, and connecting them to the resources they need. The organization provides services and supports for families with children from birth up to three years old, who have a diagnosis or are at risk of experiencing developmental delays. A residential treatment center specializing in serving children with histories of trauma, neglect, physical and sexual abuse, and trauma-induced experiences. Provides comprehensive and emergency dental services for low-income, uninsured individuals suffering from dental disease. State-specific information on developmental milestones, health, education and support. A faith-based community mental health center offering individual or family therapy, child and adult psychiatric care and counseling, mental health case management, and in-home child and family services. Serves a unique and vital role in helping strengthen and empower children battling critical illnesses. K-8 youth development programming featuring rigorous academic interventions, college prep workshops, civic engagement projects, STEM/arts enrichment activities, and health/nutrition programming to vulnerable elementary and middle school students in an out-of-school-time setting. Provides primary medical care, behavioral health services, dental care and health education to approximately 17,000 people annually in Nashville, Clarksville and Smyrna. The Saltwagon Clinic at Meharry is a student-run, free clinic under the supervision of faculty physicians at Meharry Medical College. Its mission is to address healthcare disparities by providing free, high-quality care to Nashville's underserved populations. For more than 25 years, MHC has helped children with serious emotional and behavioral challenges by offering ongoing support and treatment with both school-based therapy and community-based care management. From back-to-school vaccinations and summer food services to the WIC Nutrition Center and child ID fingerprinting, the Health Department is an excellent resource for family care. Provide services for youth age 23 and younger who are in the foster care system or have recently aged out. Since 1893, Monroe Harding has continually adapted to meet the needs of children who are in, or transitioning out of, state custody by caring for more than 16,000 children who have been abused, abandoned or neglected. Every week, The Nashville Food Project shares more than 4,000 healthy, made-from-scratch meals and snacks with communities across Davidson County. Works to improve the lives of children in our community through a number of collaborative initiatives including participation in the Nashville Infant Vitality Collaborative with the Metro Public Health Department and Meharry Medical College, and efforts to improve health in schools. Neighborhood Health is dedicated to improving the health of the community by providing affordable quality care to all in locations where it's most needed. Provides a safety net for families most at-risk in order to prevent infant mortality, child abuse and neglect by providing in-home nursing visits promoting health, education and positive parenting skills. Oasis Center is a nationally recognized organization on a mission to help young people in Middle Tennessee move into a happy, healthy and productive adulthood. PENCIL is the premier organization linking community resources to Metro Nashville Public Schools. 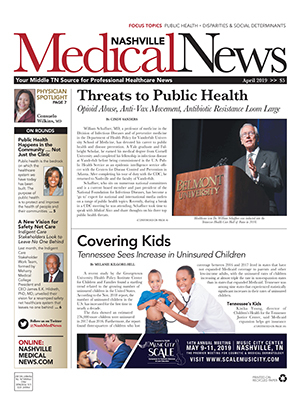 A program under the leadership of the Nashville Academy of Medicine and Medical Foundation of Nashville in conjunction with many community partners, Project Access connects low-income, uninsured residents of Davidson County with primary care and specialty care providers. A non-profit that works with parents, professionals and communities to provide education, resources and services that strengthen families. Middle Tennessee's oldest and largest riding center offering equine-based programs exclusively for children with disabilities. Safe Haven has 30 years of experience in the changing field of family homelessness with proactive programs, evidence-based practices and trauma-informed care. Provides connection to area clinics, projects and resources to help the uninsured and underinsured find coverage or services. An alliance of organizations and individuals to promote the full and equal participation of people with disabilities in all aspects of life. Includes Tennessee Parent-to-Parent, a statewide program established to provide support, information, services, training and leadership opportunities for families of youth and children with special healthcare needs. As a part of Ascension Health, the largest not-for-profit healthcare system in the United States, Saint Thomas Health is committed to healing and dedicated to service, especially to persons who are poor or needy, reflecting the spiritual core of their mission, vision and values. Founded in 1978, Second Harvest Food Bank of Middle Tennessee works to feed those facing hunger and solve food insecurity issues in the region. Provide healing for children, adults and families affected by sexual assault and works to end sexual violence through counseling, education and advocacy. Provides free, high-quality care to Nashville's uninsured individuals. Since 2003, Show Hope has worked to holistically approach orphan care, helping children in Adoption Aid, Care Centers, Pre+Post Adoption Support and Student Initiative. Through Adoption Aid grants, Show Hope has helped more than 6,000 children from more than 60 countries, including the U.S.
For more than 25 years, the faith-based organization has preferentially directed its efforts to those who often have no alternative for healthcare. Translators and culturally competent care are available. Special Kids serves children who simply need a little extra help, children who are medically fragile, and all sorts of diagnoses in between. Provides year-round sports training and athletic competition in a variety of Olympic-type sports for children and adults with intellectual disabilities. 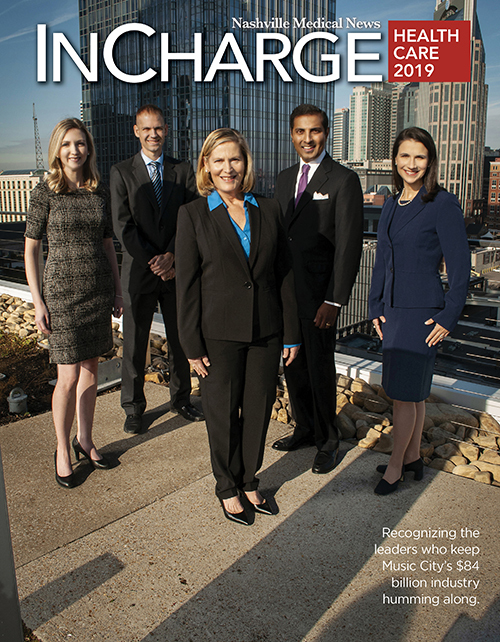 Founded in 1984, STARS has transformed from a program of the Center for Youth Issues with one school site to an award-winning, evidence-based leader for its program and services in nine counties and more than 160 school and community sites in Middle Tennessee. A statewide professional membership & child advocacy organization dedicated to the health, safety, and wellbeing of infants, children, and adolescents. The Department of Children's Services is Tennessee's public child welfare agency and establishes statewide standards for performance that reflect best practices for child welfare. An alliance of organizations and individuals promoting the full and equal participation of people with disabilities in all aspects of life. The Insure Our Kids Campaign is a collaborative effort among area stakeholders to make sure every eligible child in Tennessee has access to care. Tennessee Voices for Children seeks to become a diversely funded, accredited organization providing best practice in advocacy and services for the emotional and behavioral wellbeing of children and their families. YouthCAN assists teens and young adults ages 16-24 with educational, training, and career opportunities through various resources and support services. Their mission is to build a better economic future for the state's youth. Youth Villages provides help for children and young people who face a wide range of emotional, mental and behavioral problems. Y-CAP works with children to provide mentors who focus on academics, social skills, community involvement, healthy living and personal growth. A non-profit that provides educational support in academics, character development and service learning for children.